The best equipment: One of the things you can ask about is the equipment that the agency has available. Why is that so important? Because there’s a good chance that you are going to have different types of projects throughout the year. Some will be bigger, some will be smaller and others will be in tight quarters, some will be on rough terrain. You want to hire a company that can handle those challenges. Years of experience: Along with the equipment side of things, you need a crane rental Washington DC company that can handle the job because they have experience. You want to feel confident that no matter the challenge or obstacle your team has to face, they are going to deliver outstanding quality work time and time again. Extra help: If your subcontractor shows up, does a great job and leaves, you should be happy. However, we like to go the extra mile and offer additional services to our clients including rigging, storage and even equipment repair. 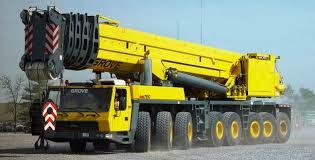 Rent-A-Crane offers the best service throughout Virginia and the surrounding areas. If you would like a free on-site consultation, feel free to give us a call.